Simple Balsamic Vinaigrette Dressing. Tangy. Easy to make. Good on greens, vegetables, or Caprese Salad. Simple Balsamic Vinaigrette. 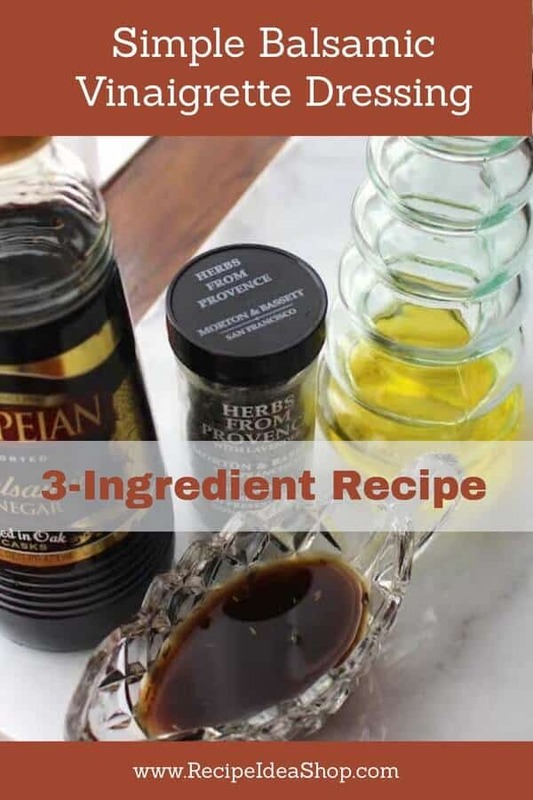 Three ingredients. 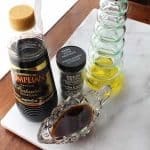 Simple Balsamic Vinaigrette is a versatile, easy salad dressing. Hi. 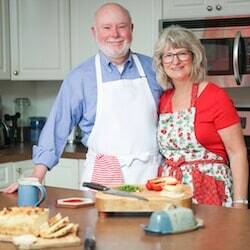 It’s Lois in the kitchen at Recipe Idea Shop, with a Simple Balsamic Vinaigrette Dressing that is so easy, anyone can do it. Summertime is an excellent time for making your own salad dressings or marinades. 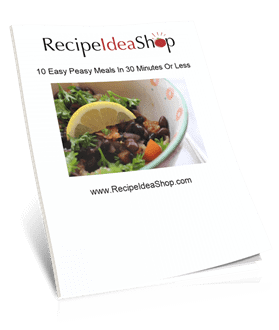 This recipe takes about 5 minutes to make since it is comprised of only three ingredients. All you have to do is measure and whisk the ingredients together. You can use it over a Caprese Salad, any green salad, or as a marinade for vegetables or meat. Try it. Delicious! CHICHIC 3Pcs 8” + 10” + 12” Stainless Steel Whisk kitchen Whisk Set Kitchen Whip Kitchen Utensils Wire Whisk Balloon Whisk Set for Blending, Whisking, Beating & Stirring. Buy it on Amazon. Whisk all the ingredients until emulsified. Serve immediately or store for up to 3 weeks. Simple Balsamic Vinaigrette Nutrition Label. 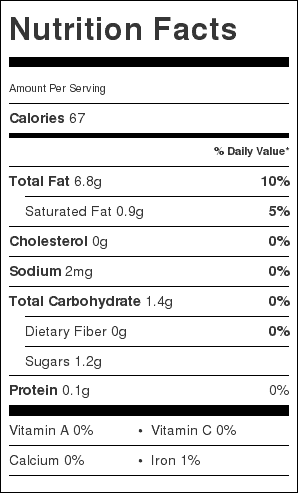 Each serving is 1 tablespoon.